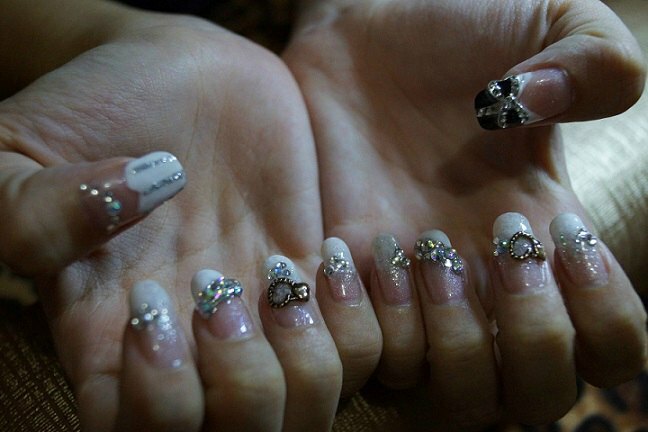 Today I am gonna share with you my Casperlyn Wedding Bridal Nails done by Mynte Fingers! So glad that Mynt is willing to sponsor me my nails and doing it for me during her birthday week. I am so excited about doing bridal nails because the wedding day is very important and there is so many bridal nails designs out there. For those that have overspent on their wedding budget, Mynte Fingers will definitely be a great choice. 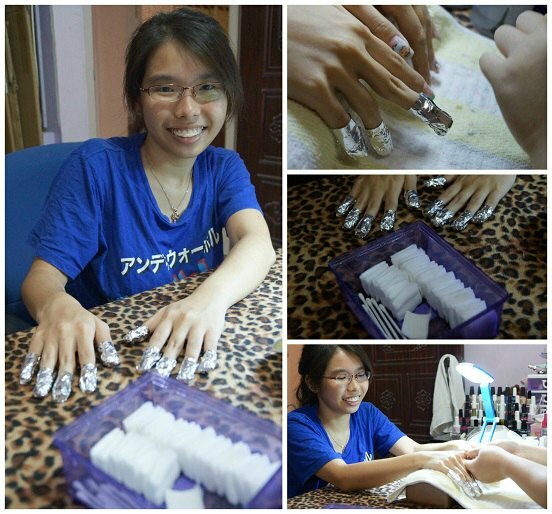 She provides affordable gelish nail and her service is really awesome. The ever thoughtful Mynt laid down a towel to soak-off and remove the previous nail-art design I have done for my Hen’s Nights. Mynt is so hardworking. She did her homework and she actually draws the designs out before doing the nail art. I really admire her professionalism. This is the soak-off being done. Soaking off seems like a breeze with Mynt. Not painful at all. 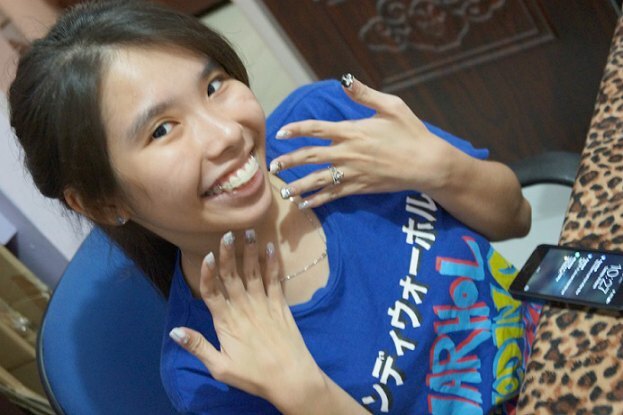 Mynt is also very careful with my nails and ensures every single nail is clean & pretty. 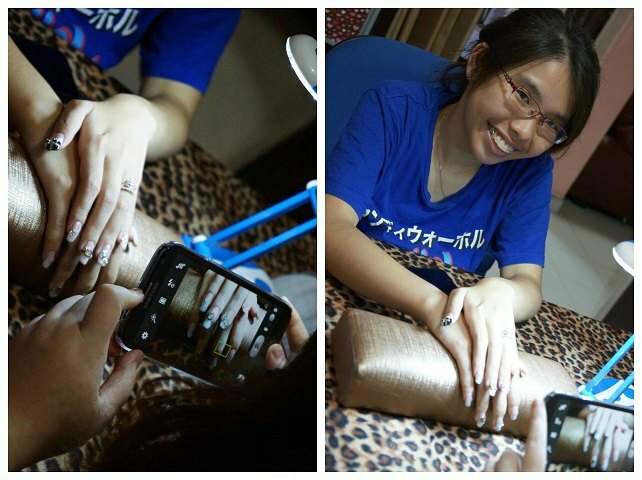 Mynt is very detail and careful with every single detail of nail-art she is doing. 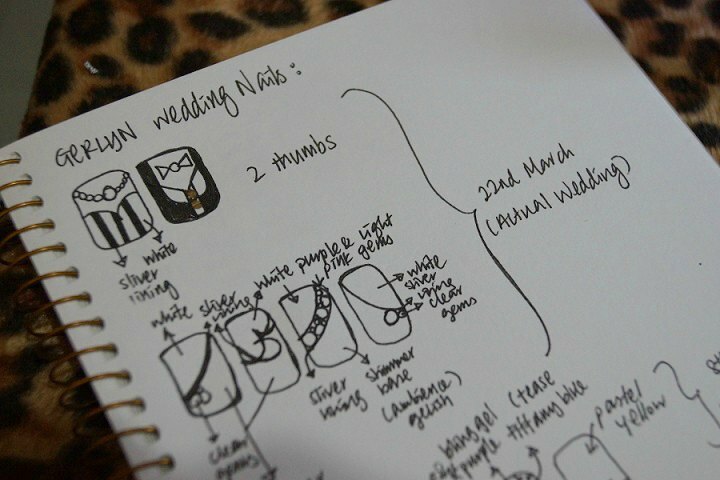 Currently she is designing my thumb with my bridal gown design. She puts in the bling bling jewels one by one. Look! It’s a pair! A groom & a bride design. All my pretty pretty nails… So bling bling and I dont have to fear that if they drop out because Mynt actually attach a lot of glue gel. Did I mentioned that it is during Mynt Birthday week that we visited her? 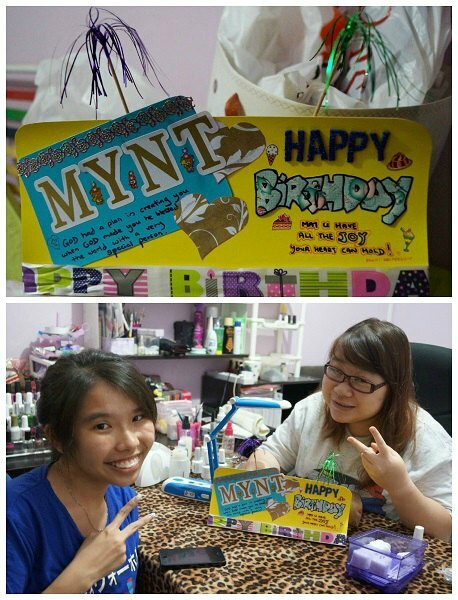 So Casper & I did a card for Mynt to wish her a very happy birthday and also to Thank her hardwork!